Dr. Sukitti Klangvisai 1989 27 72/36 6484/7150 25 minutes from Patong Beach. 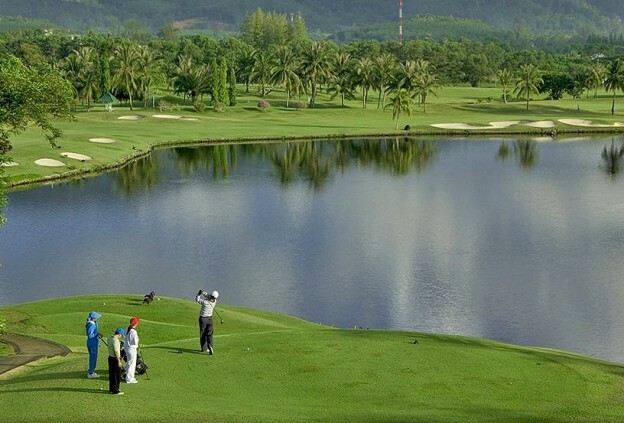 Phuket Country Club is an excellent golf course, set in a valley, with fairways meandering through the hills. The course offers six holes in undulating hills, six holes on the level and six holes through landscaped forest. Although high handicappers will have a challenging round, they will be keen to return for another round. while the low handicap golfers will find the course quite a challenge. Hole #10, 557 yards par 5, at Phuket Country Club, is a very unusual hole, a a dog-leg right that curves around a large lake and is reachable in one. The clubhouse has excellent facilities and a fine restaurant catering for all tastes.